Search engine optimization refers to making a website more accessible and prominent when anyone is making a search on an Internet search engine. 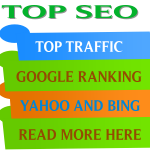 The aim is to make the said page rank higher in the results garnered by the search engine, and thus increase traffic and hits on the page. 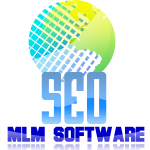 Search engine optimization saw its emergence in the early nineties, when cataloguing of the then early Internet was being done. However, with the increasing size and span of the Net, these have had to radically change their scientific, technical, and highly detail oriented approach to broader and more user-friendly techniques. The emergence of popular search engines like Google further enhanced the 'revolution' that was taking place in the sector. Nowadays, most search engine optimization specialists have reached a consensus where they agree on what top signals are relevant in influencing a page's rankings. These signals include the use of keywords in the title tag, the use of keywords in links pointing to that page, the sprinkling of keywords appearing in the whole visible text of the page, as well as the link popularity of the webpage. 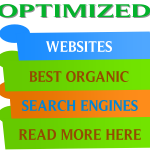 For many years, the search engine optimization field has been a battleground of lawful and other unlawful attempts by webmasters and other page creators to make it to the top rankings of a search engine result page. Though this aspect is still visible today, it has however been confined to a rather small percentage of the sector. 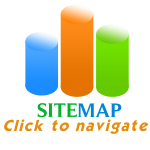 Most web building and designing companies nowadays offer search engine optimization in their services. Once a site has been submitted to search engines for search engine optimization, the search engines send out crawlers which browse, 'spider', and index the contents, so that they can classify and organize the data as per their indexing policy. Most search engines offer this service for free, but some also offer it as a paid service. 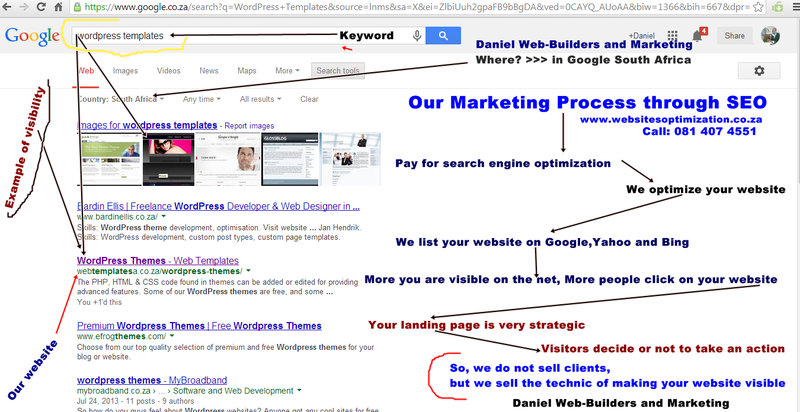 This entry was posted in Web designers and tagged engine, how to be on Google, How to be on Yahoo, marketing, optimization, optimize, ranking, search, web by DWBM. Bookmark the permalink.